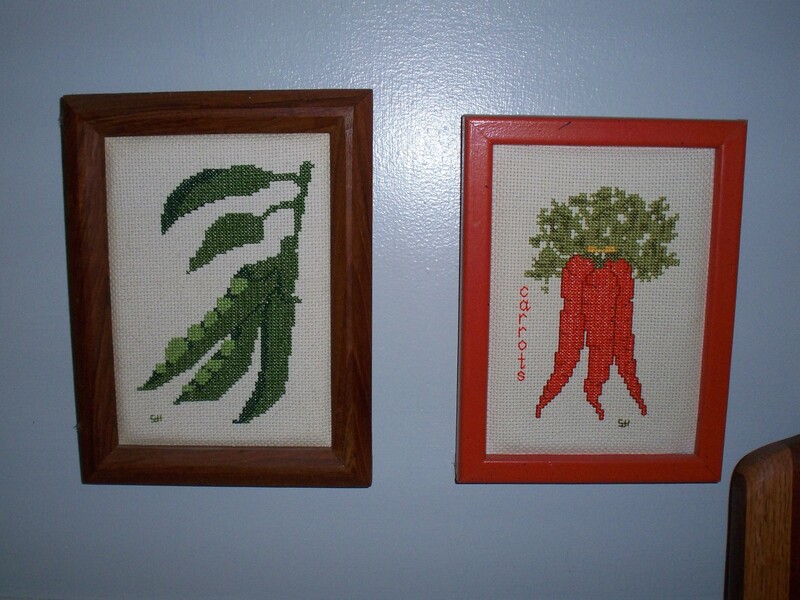 My sister Susan gave me her counted cross stitch works of “Peas” many years ago. Probably the same year, she gave our grandmother Tuggle her counted cross stitch “Carrots”. About six years ago, I found the “Carrots” and claimed it to make a pair. I smile when I see them together. It reminds me of a line from “Forrest Gump”. Forrest says he and his best friend Jenny go together like “peas and carrots”! Here’s a tribute to things that go well together.